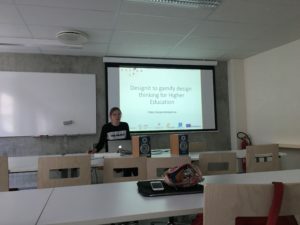 We have presented the DesignIT project at the Open Technology Enhanced Learning seminar in Tallinn University. The audience was 12 participants from Tallinn University, Tartu University and Mondragon University. The participants discussed the possibility to use collaborative gamified design thinking tools at interdisciplinary and project based higher education courses.